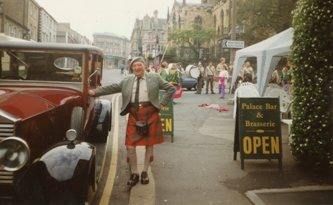 TOM MOSS stands in the doorway of his Palace Shop at the Beast Market, in pre-First World War days. 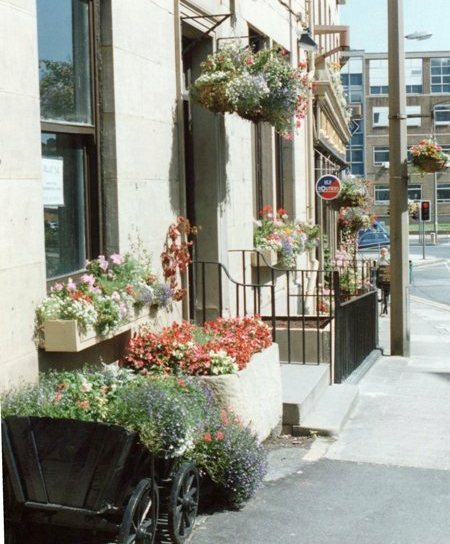 Formerly Webster’s, the shop sold sweets, chocolates and tobacco. 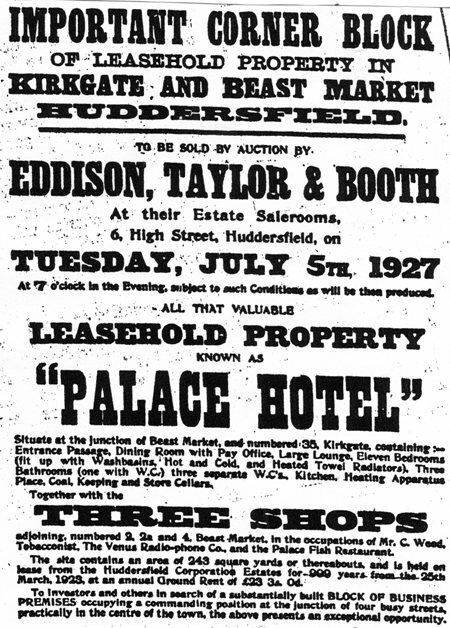 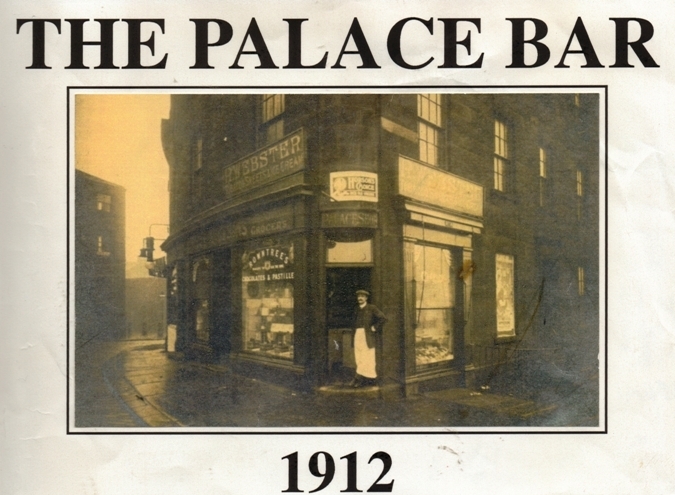 But Mr. Moss’s son-in-law, Wilf Ecclesby, recalls that the shopkeeper also supplied sandwiches for artists appearing at the nearly Palace Theatre. 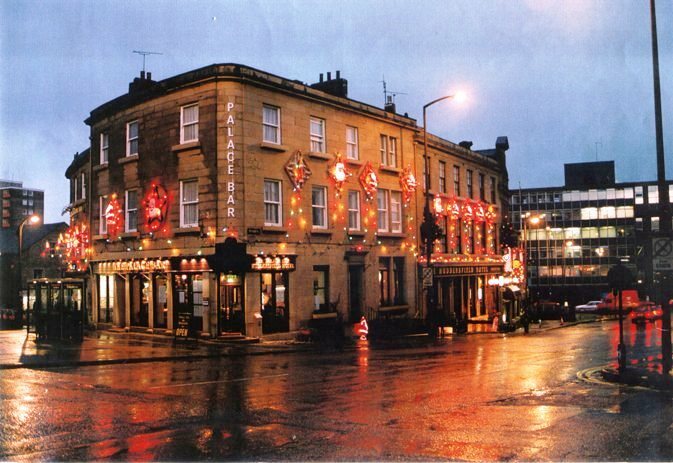 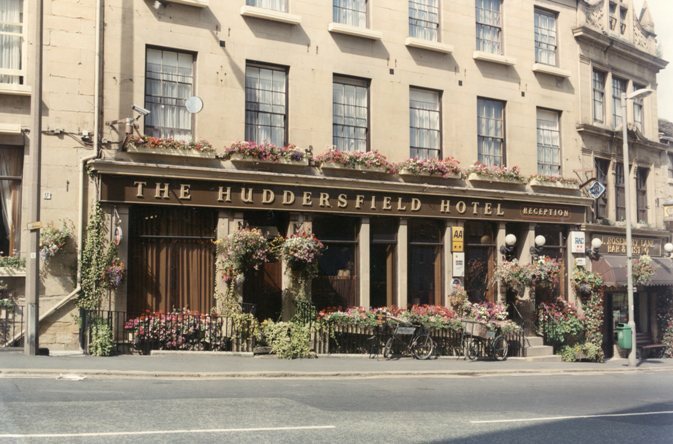 Coming into Huddersfield on the ring road at the bottom end of town and turning into Kirkgate I must say what a lovely sight awaits both young and old. 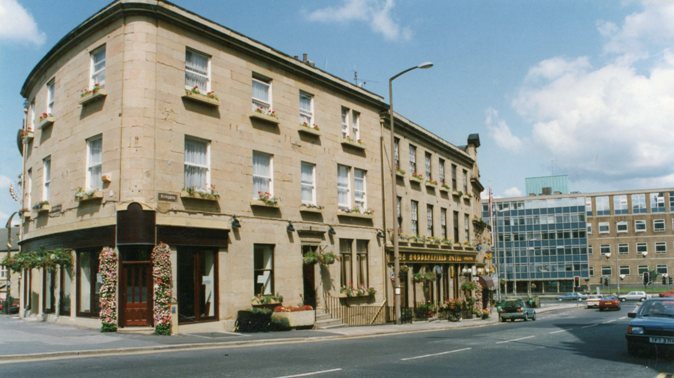 I am meaning the Hotel complex. 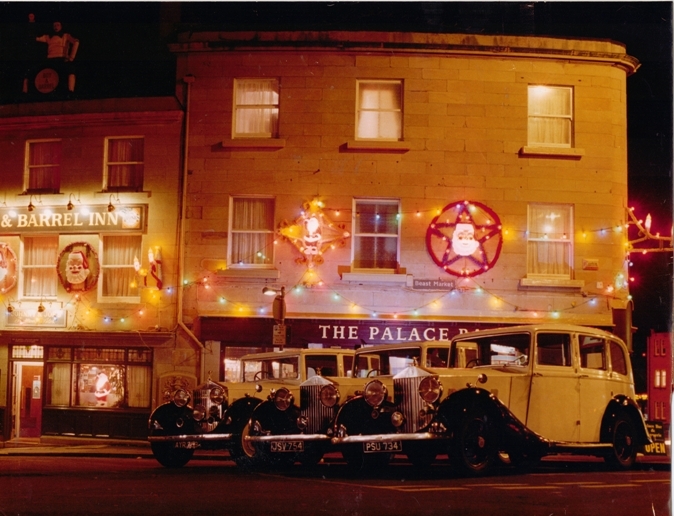 The building has been turned into a lovely sight with the Christmas lights that have been put up on the building thanks to the management of the hotel. 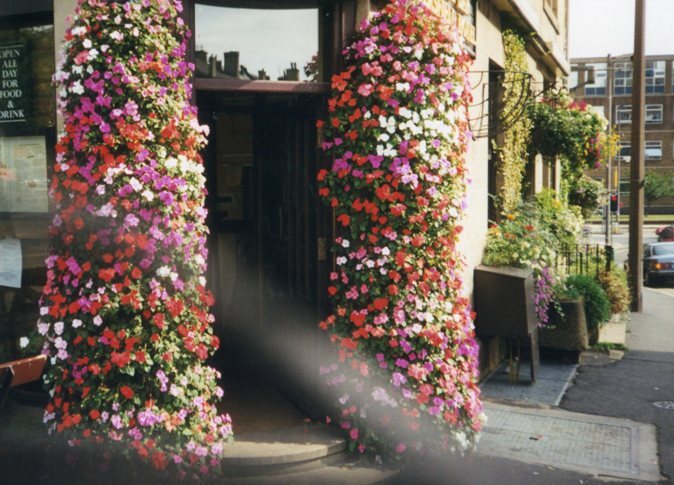 You will gladden the eyes of kiddies and grown ups as well. 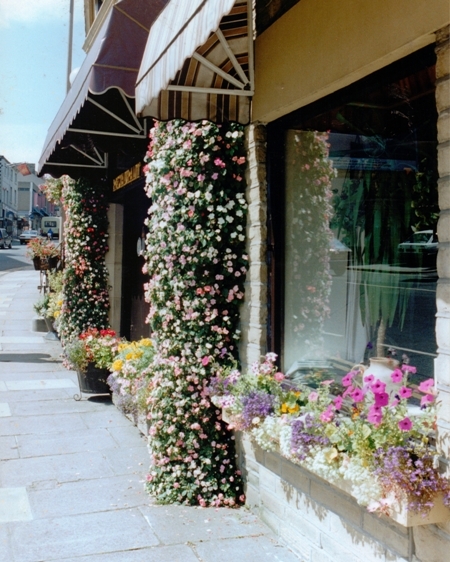 Visitors coming into the town or passing through must be impressed by the display at night. 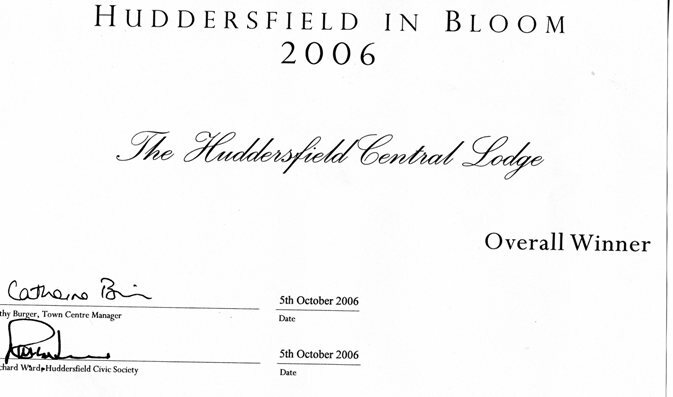 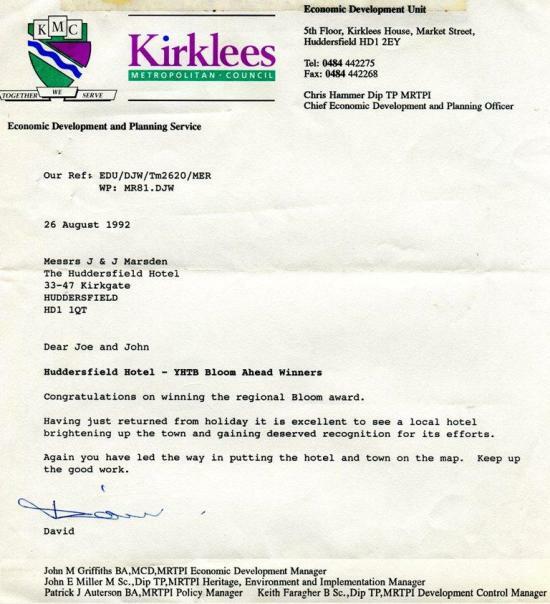 I hope that the hotel is rewarded by extra business throughout the coming year. 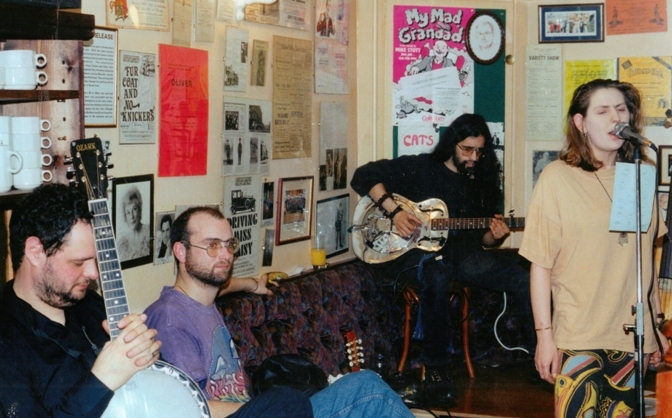 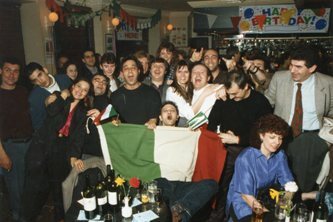 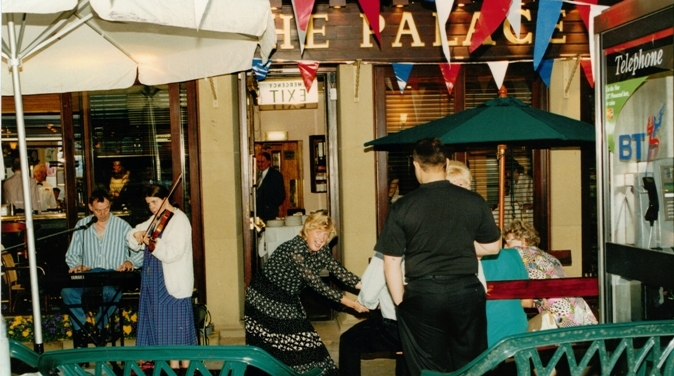 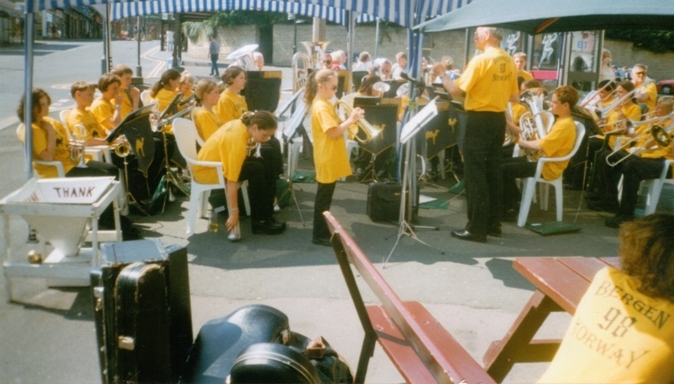 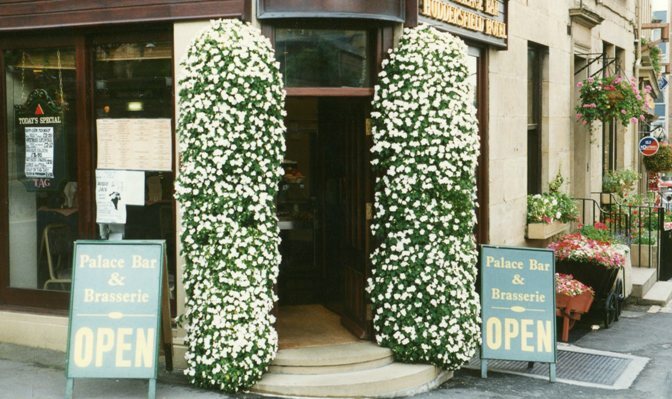 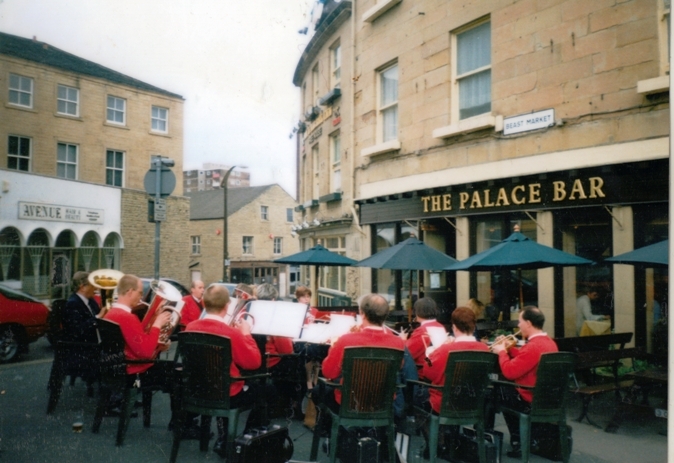 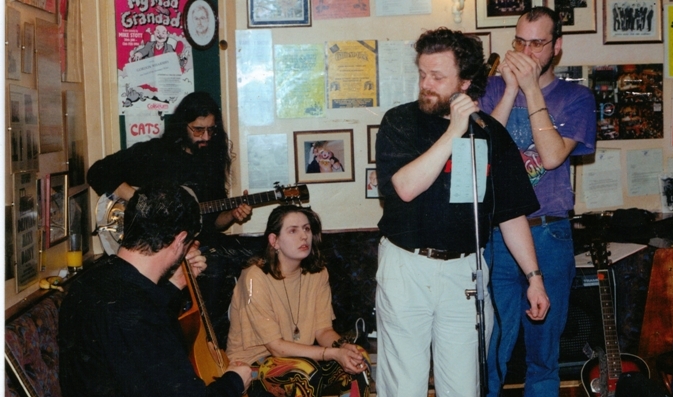 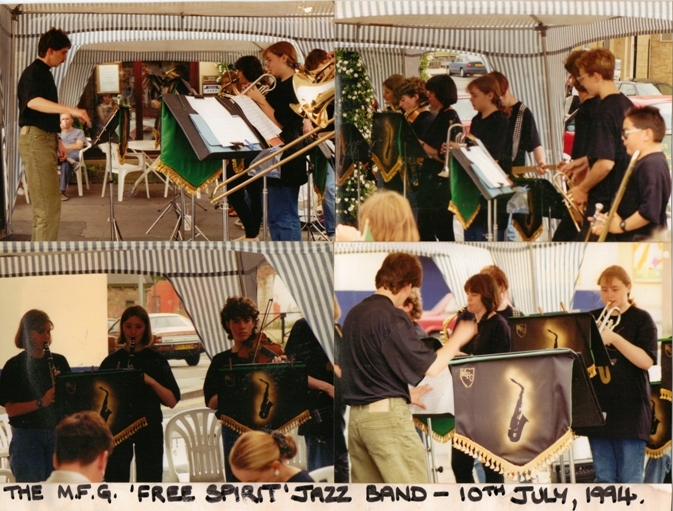 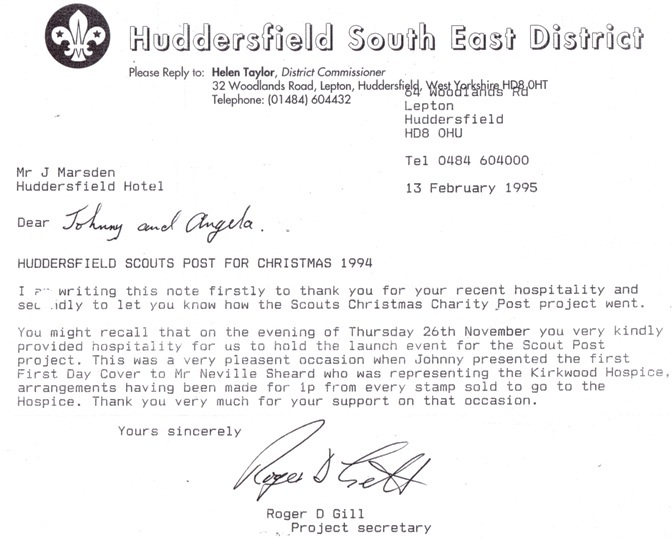 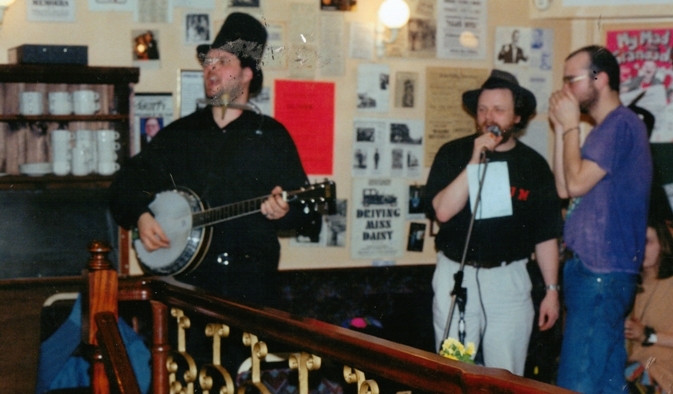 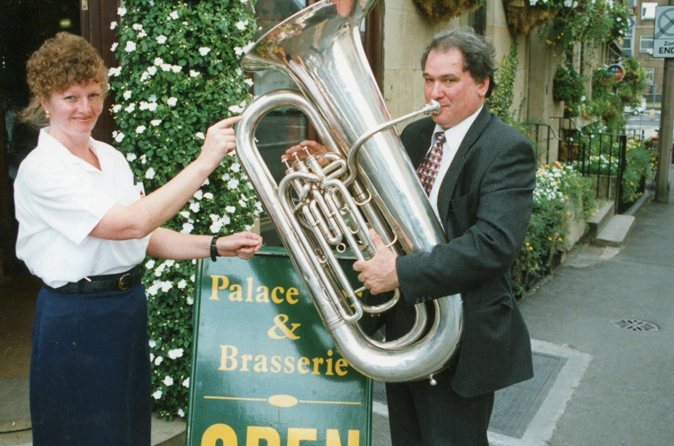 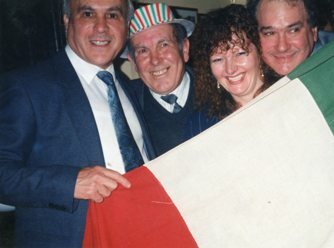 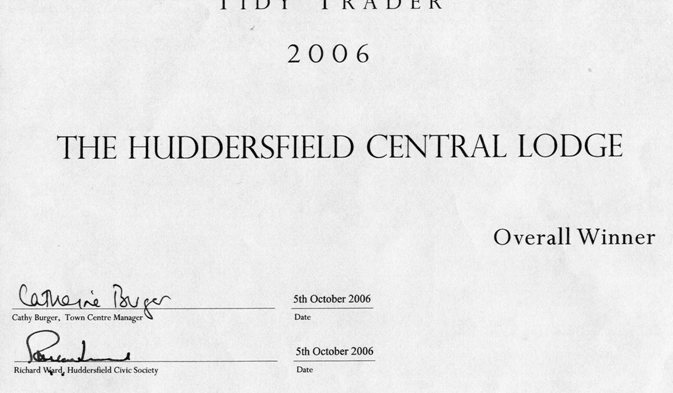 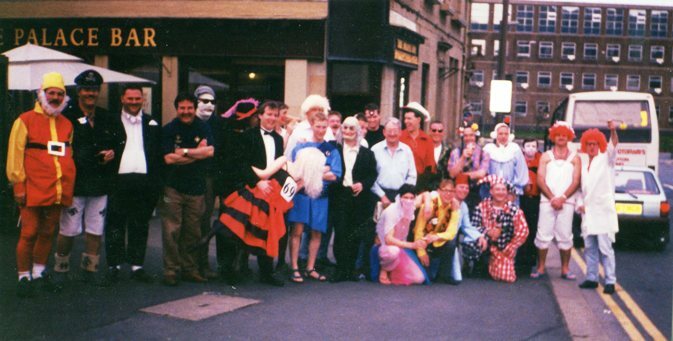 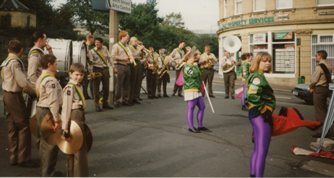 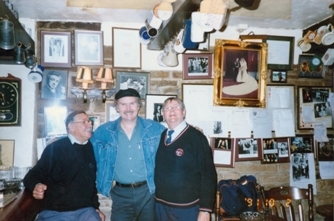 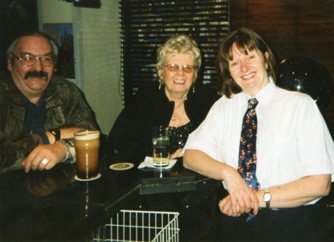 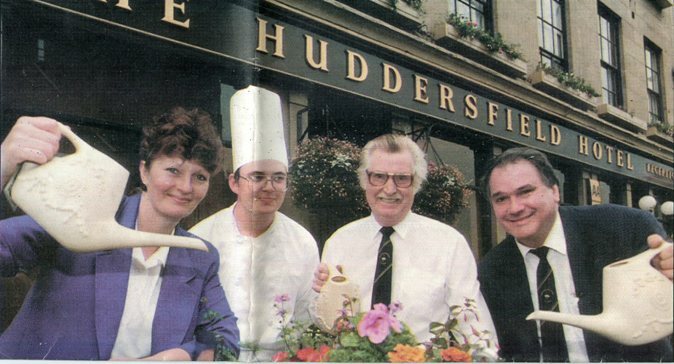 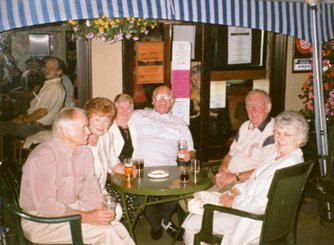 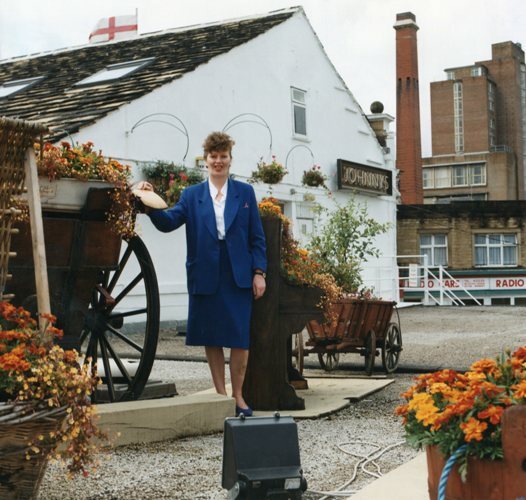 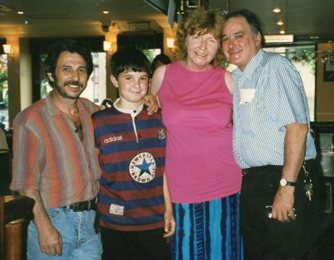 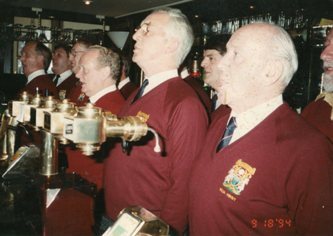 240212701 - Celebrating Yorkshire Day at the Palace Bar on August 1st 1999. 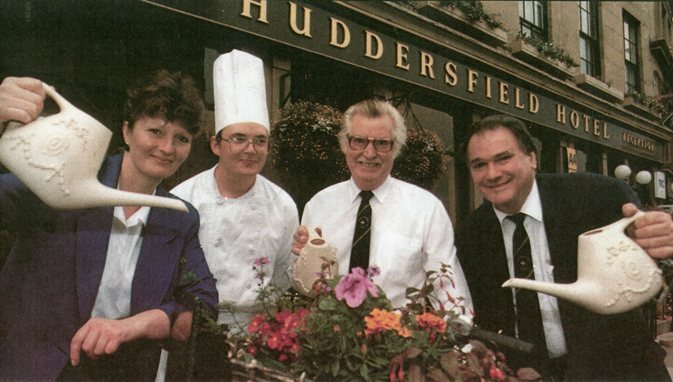 Free Yorkshire puddings were given to customers and passers by. 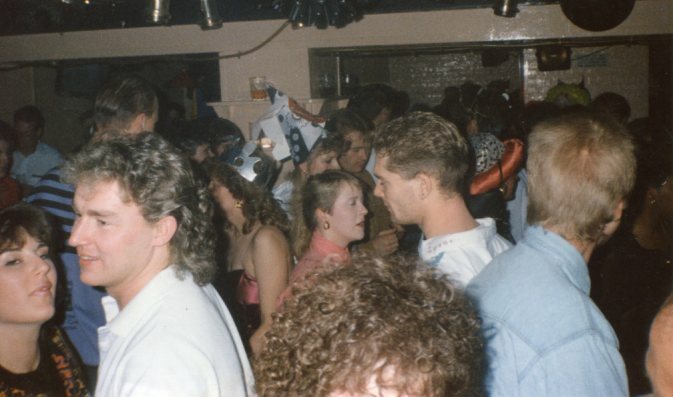 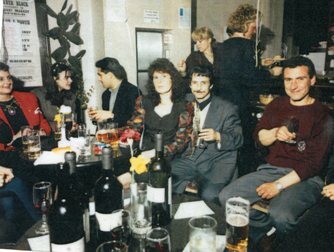 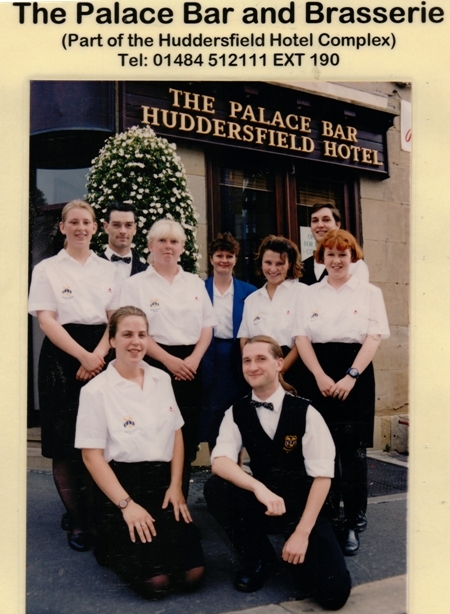 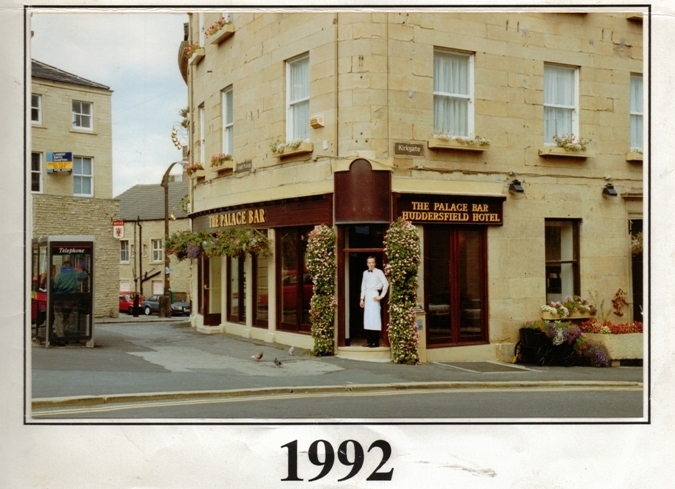 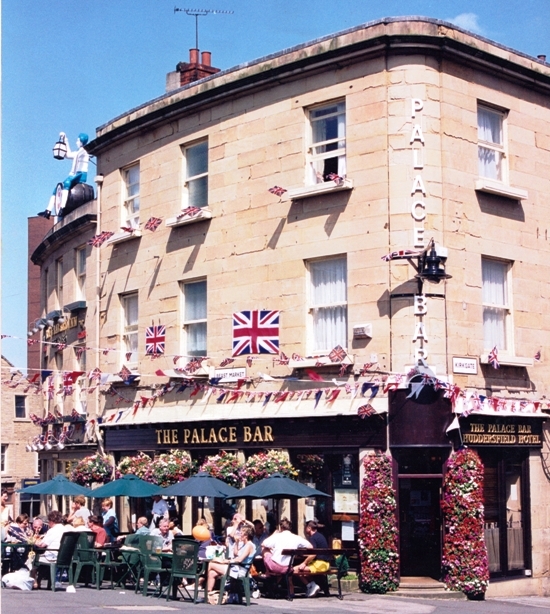 The opening of the Palace Bar in Kirkgate has rekindled many memories for Jeffrey Elson. 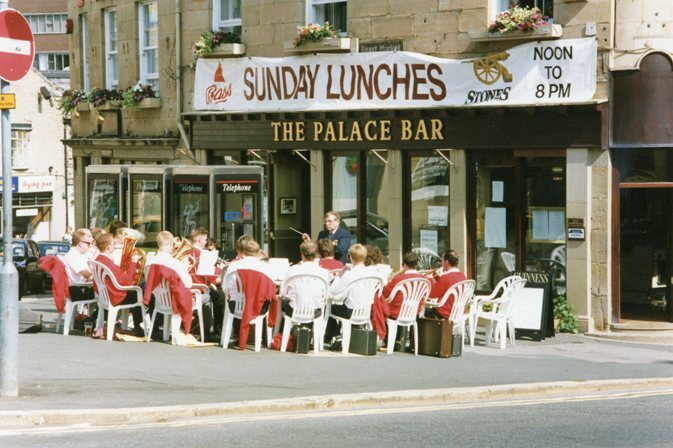 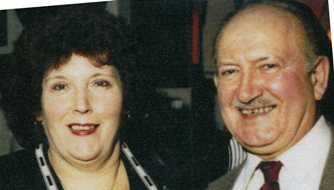 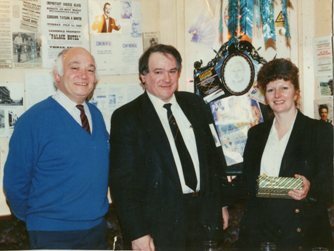 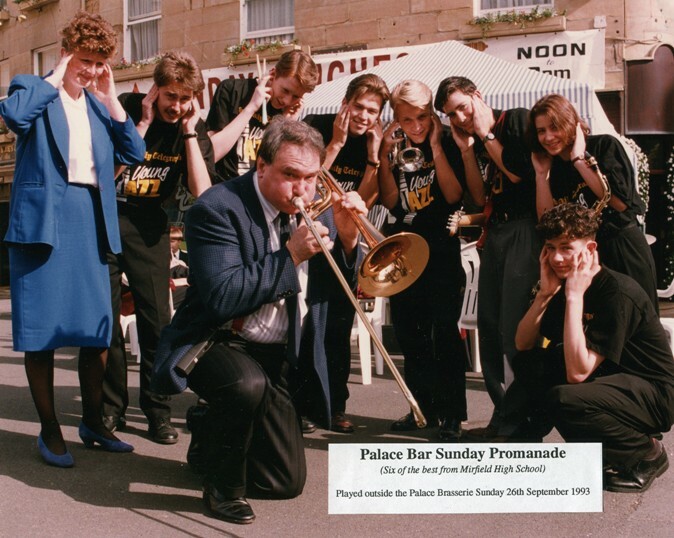 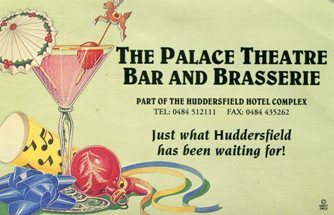 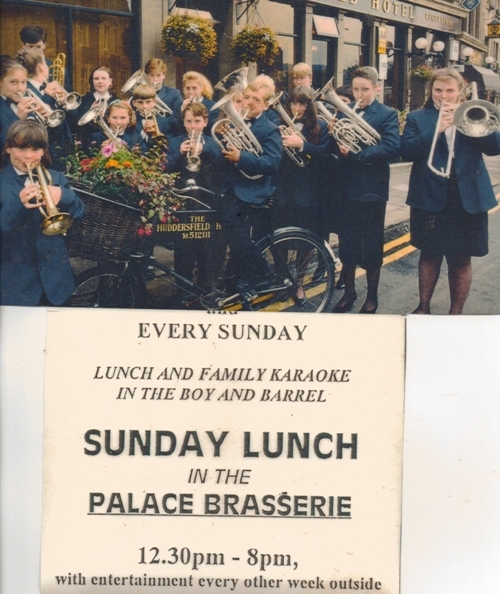 The Palace Bar stands on the site of the former Palace Hotel and Mr Elson remembers vividly family visits to the Palace Theatre just across the road when he sat in the Gods alongside his mum and his brother and sister. 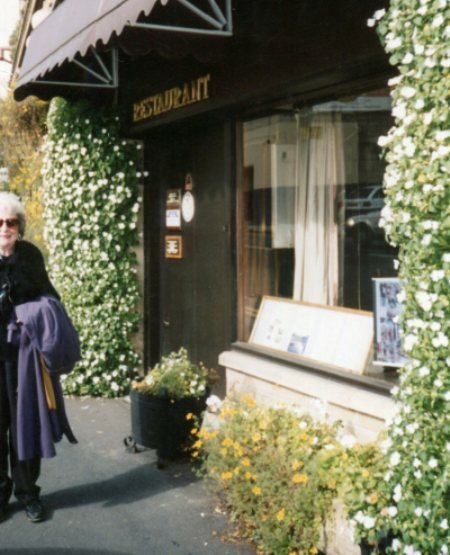 "We saw all sorts of things. 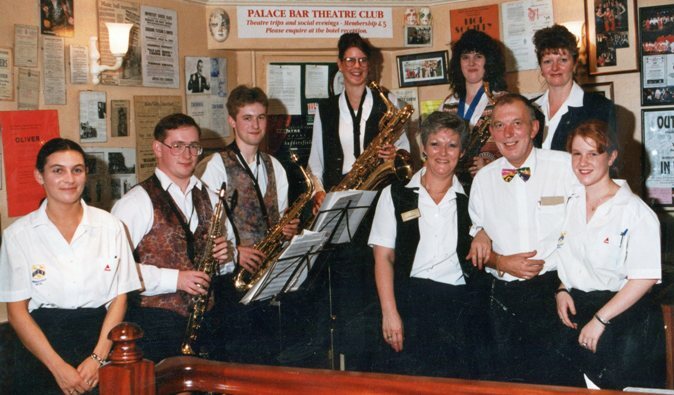 I've got a great affection for the Palace"
The Palace Bar has now started a theatre club which aims to take theatre fans to productions in the region. 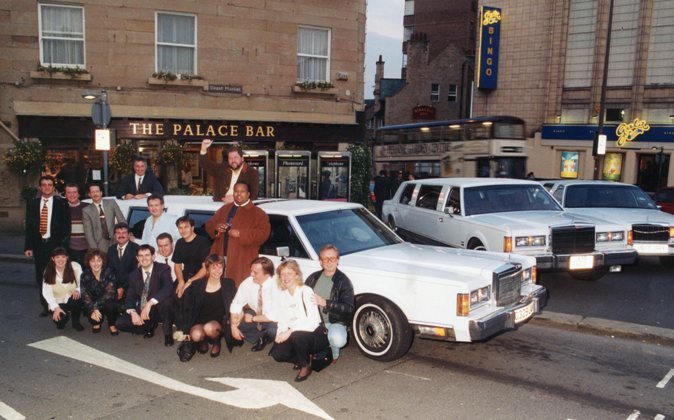 The first Palace Bar Theatre trip ready to go. 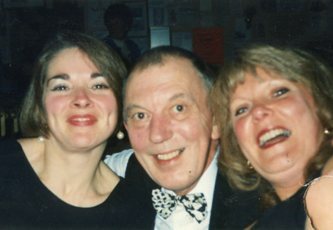 New president of the Theatre Club with Johnny and Angela. 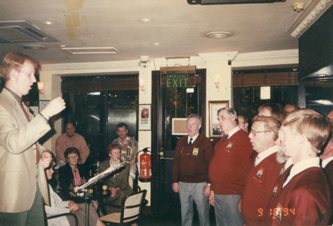 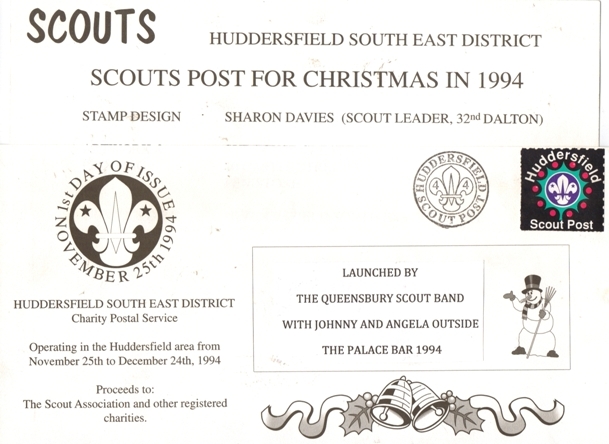 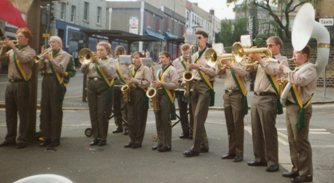 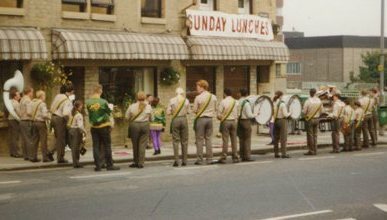 Johnny and Joe presenting 2 flag poles to the Queensbury Scout Band outside the Palace Bar. 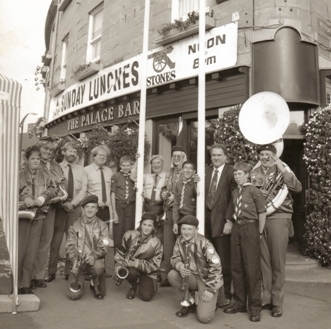 The flag poles came from Appleyards garage where Johnny started full time work aged 15. 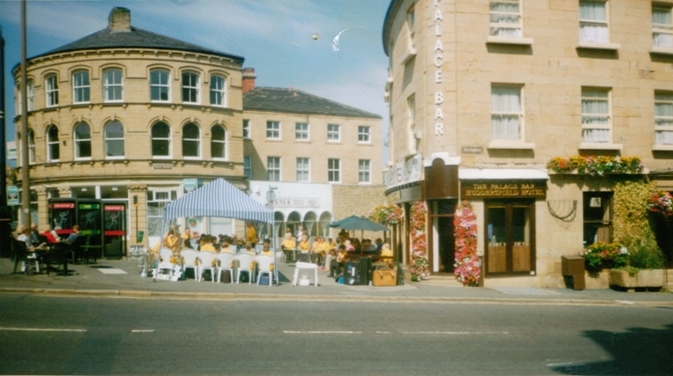 The garage was taken over by Sainsbury's (Southgate). 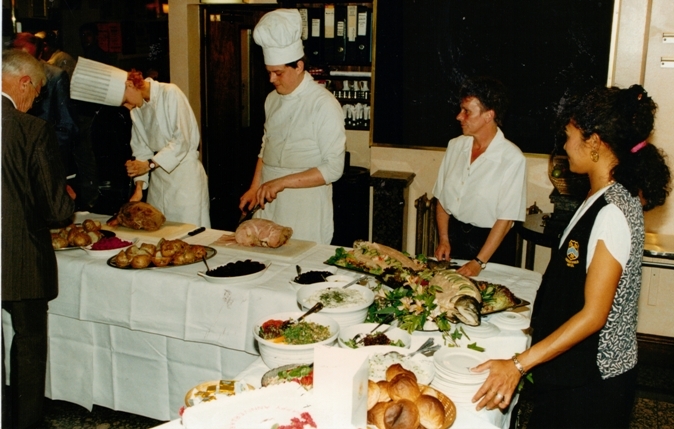 Simon the head chef carving the buffet. 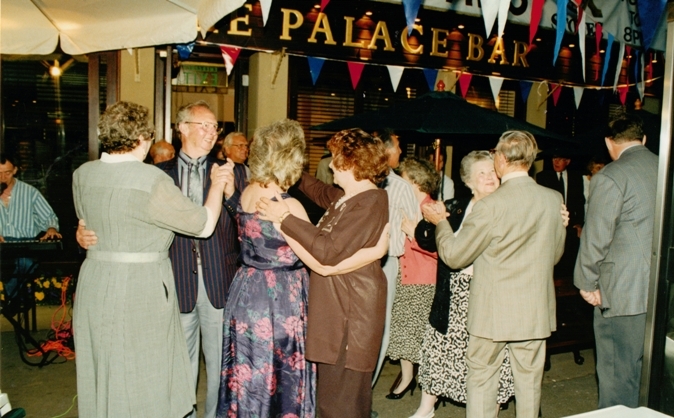 Left Bob and Jean with family and friends dancing outside the Palace Bar. 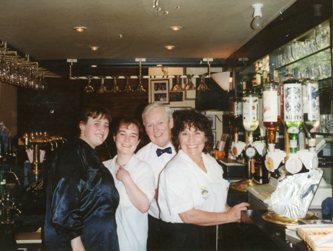 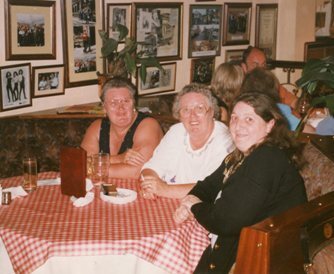 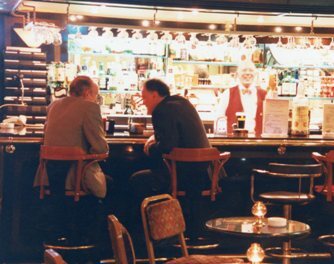 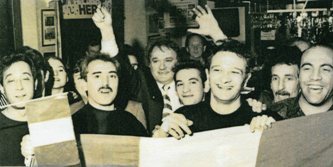 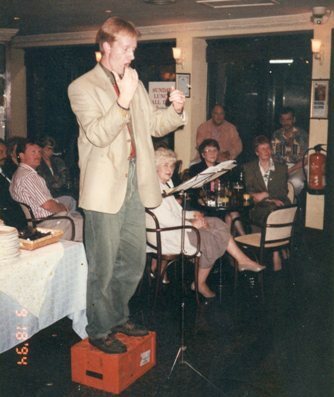 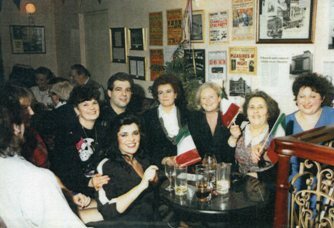 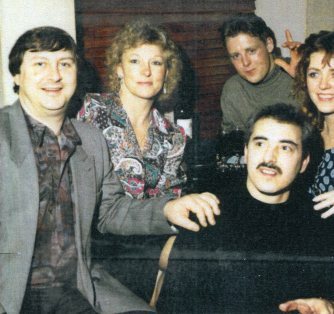 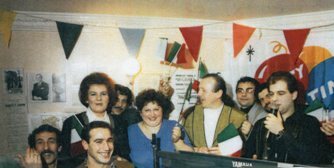 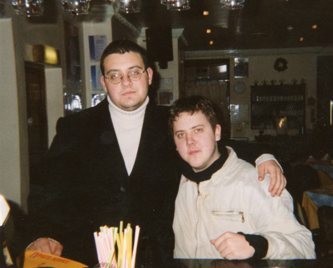 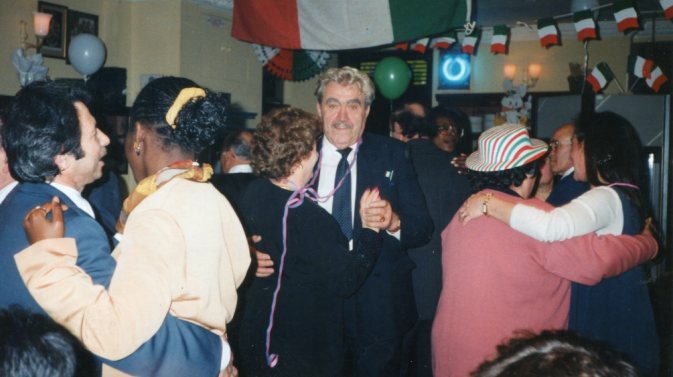 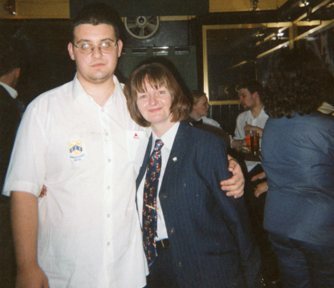 in the Palace Bar 1995. 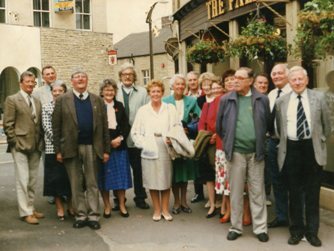 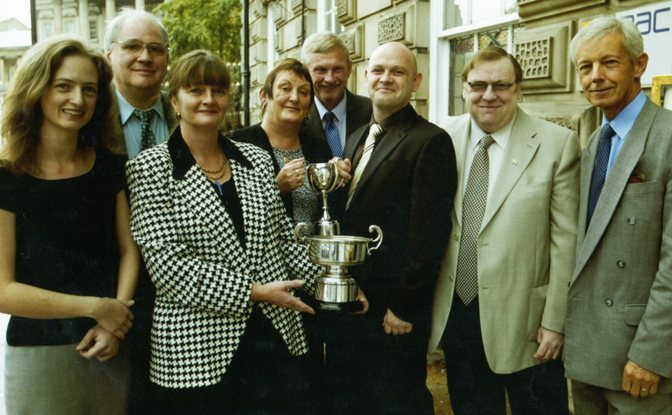 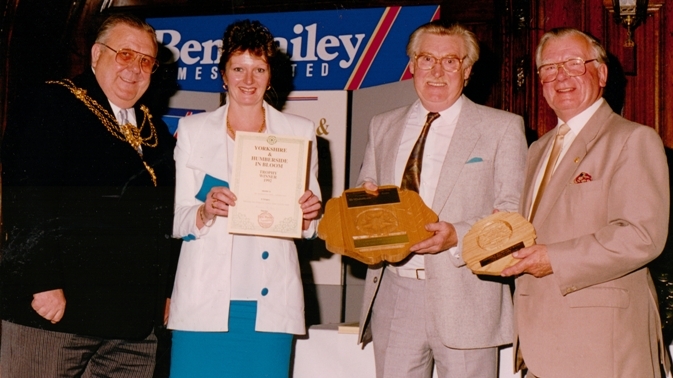 Some of those pictured are now grandparents and still live and work in Huddersfield. 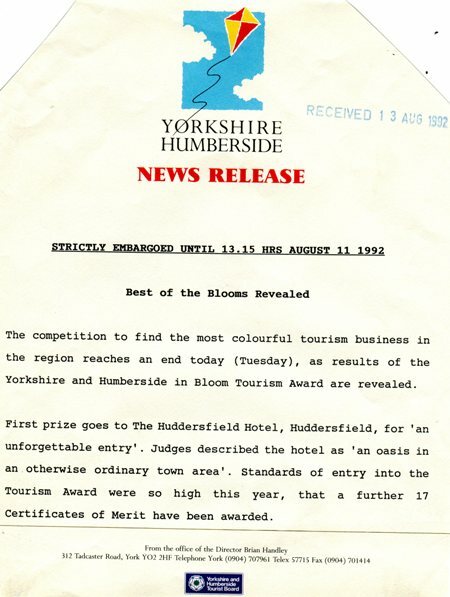 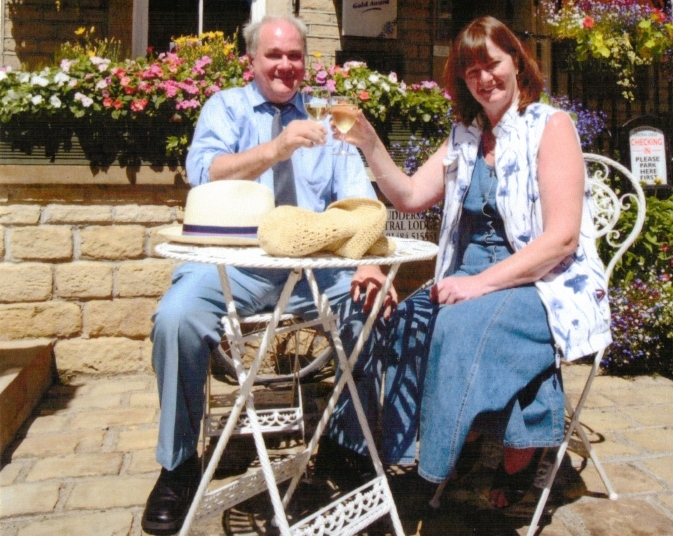 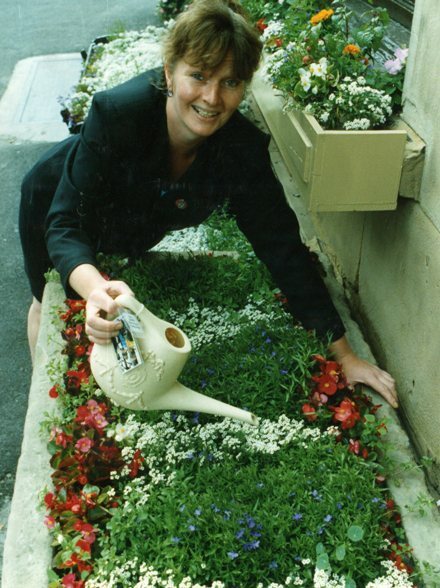 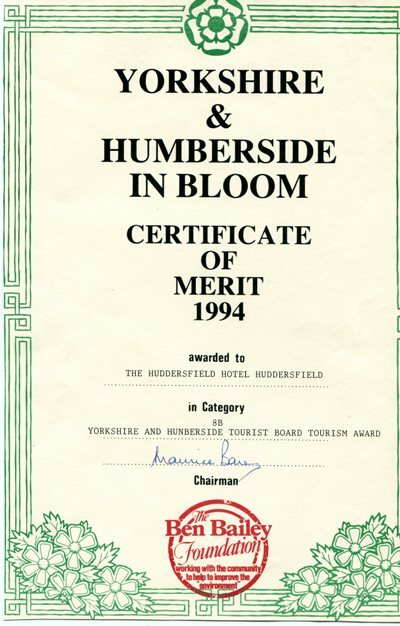 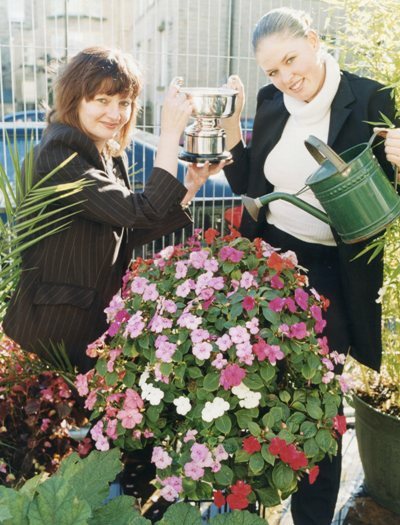 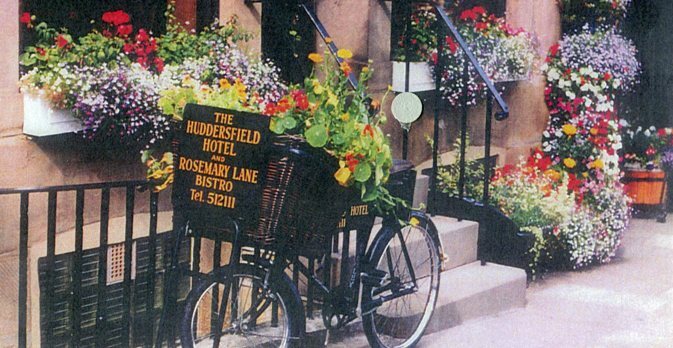 The Huddersfield Hotel has proved to be Blooming Marvellous by scooping an award in the Yorkshire and Humberside in Bloom Tourism Award. 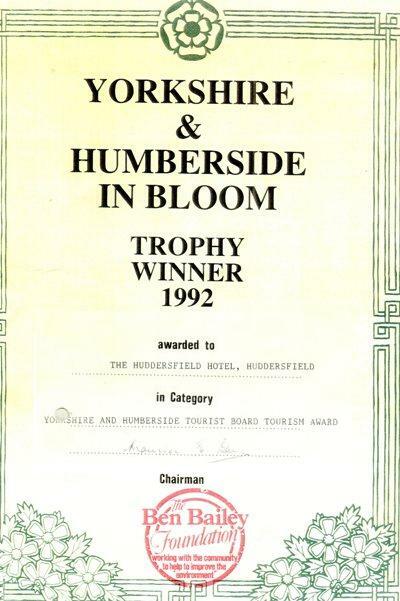 The hotel was runner up to Castle Howard stately home near York, which won the top award with its 60 acre woodland garden. 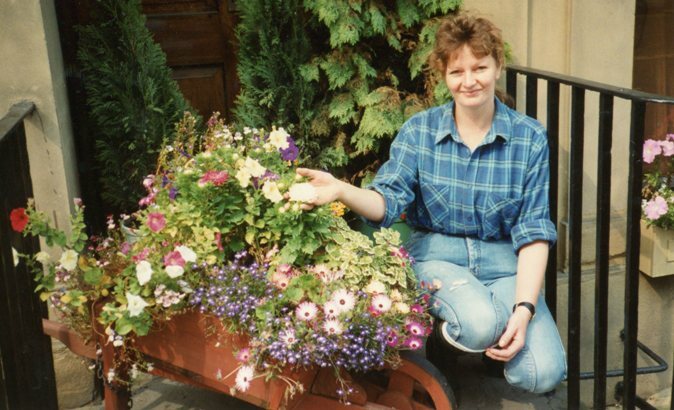 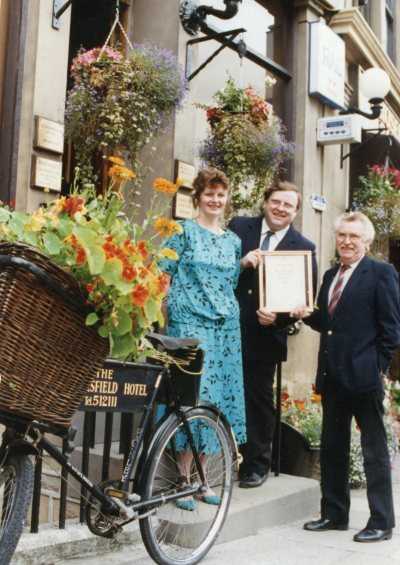 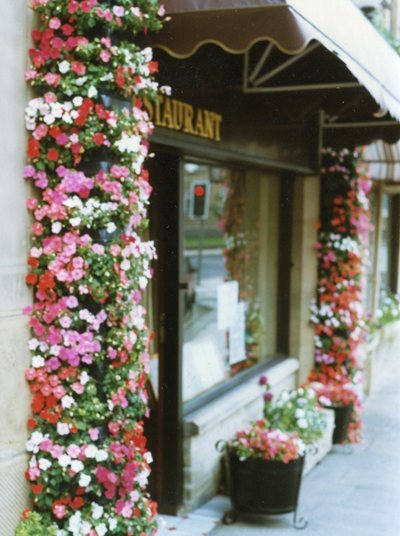 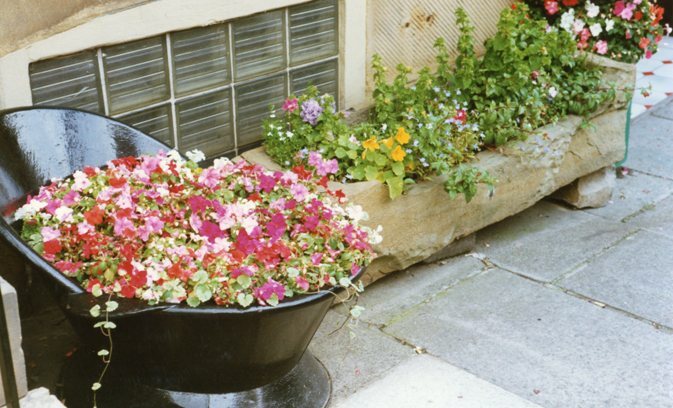 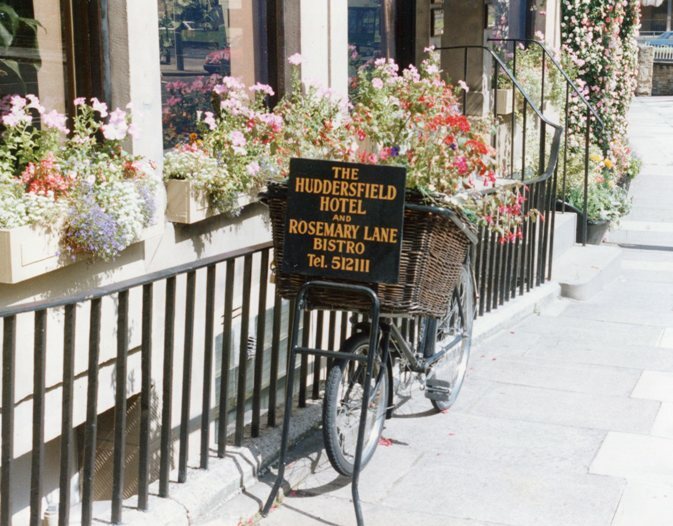 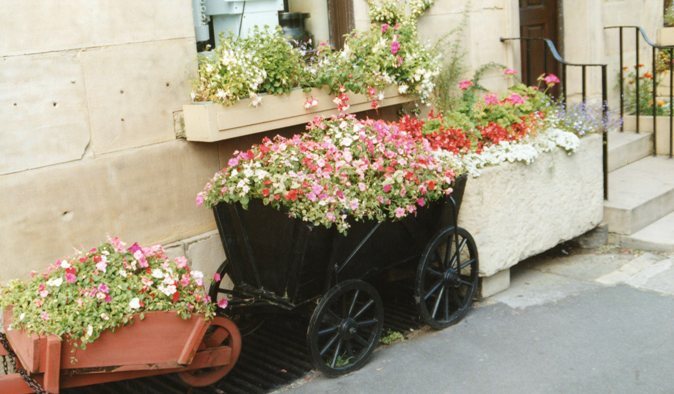 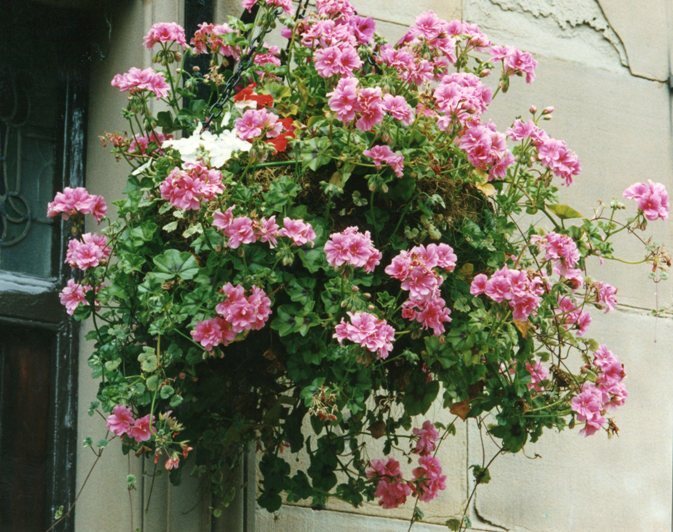 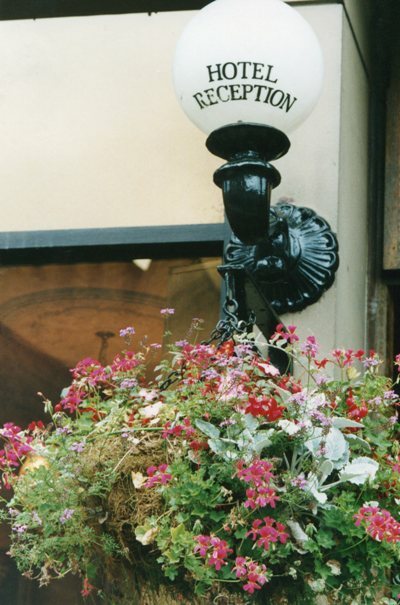 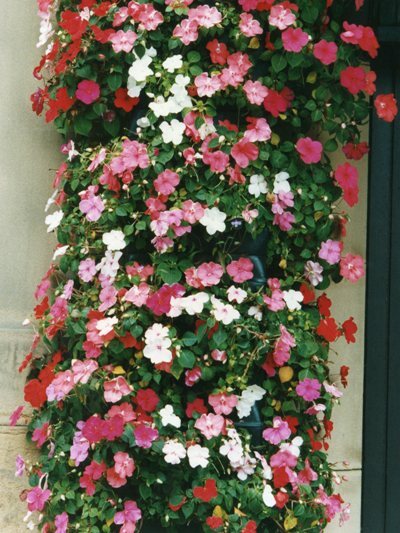 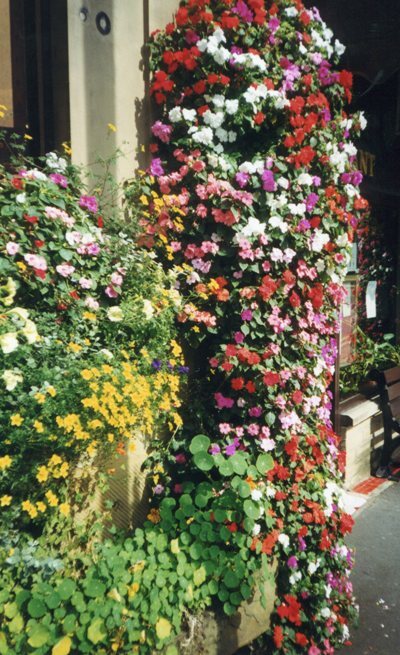 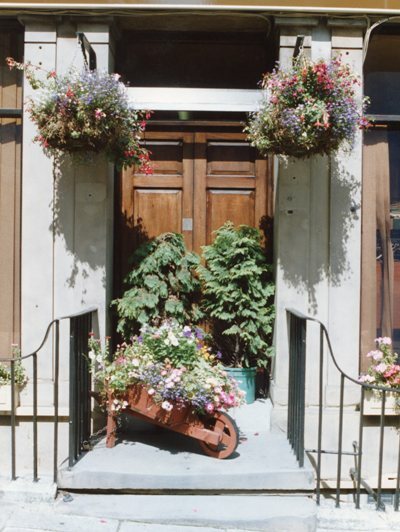 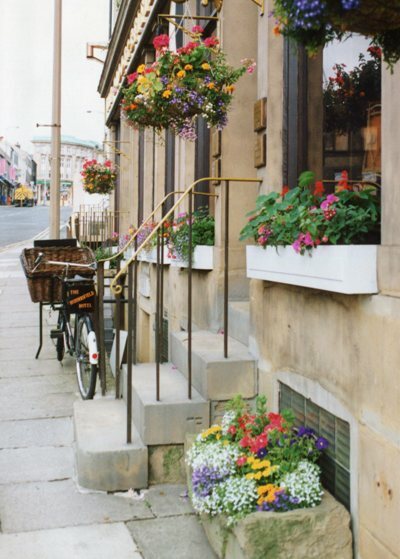 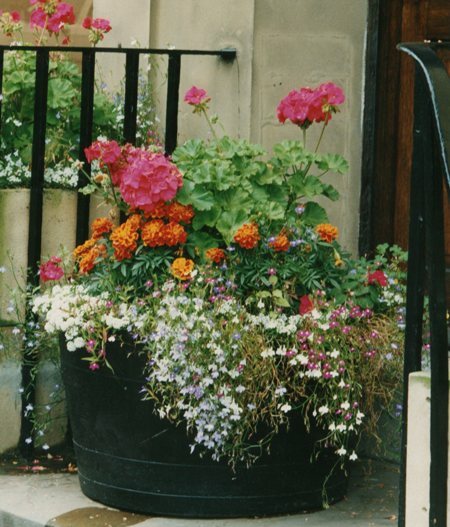 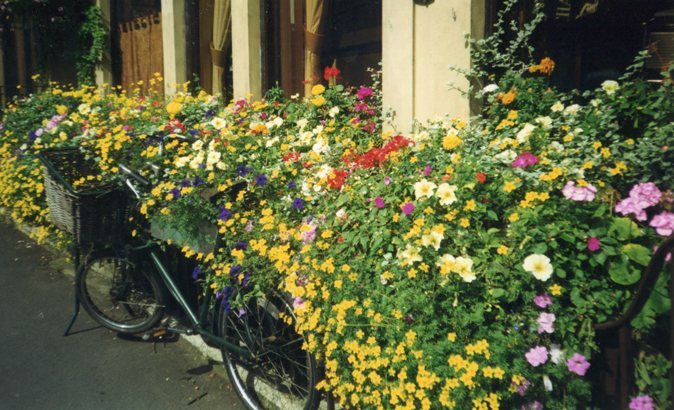 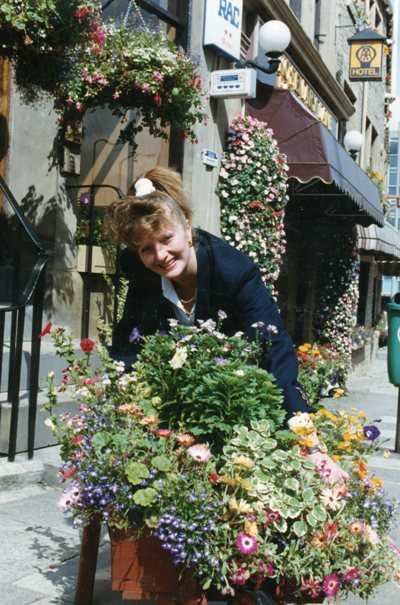 The hotel was praised for its 50 "eye-catching" window boxes at every window colourful hanging baskets, stone and oak troughs, and "attractive" column of impatiens and alysium, plus a butchers bike with basket of flowers. 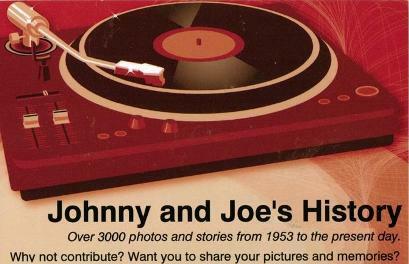 Johnny and Joe said to come second to Castle Howard is not bad at all! 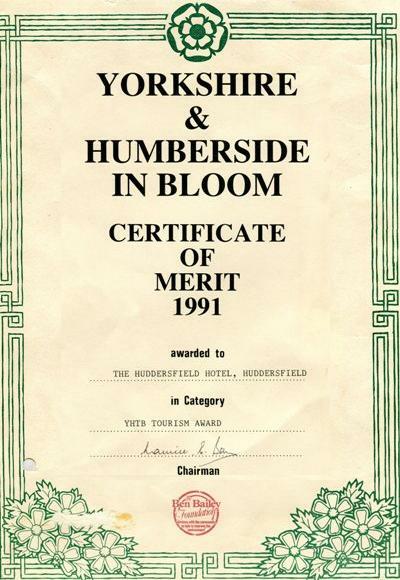 The enthusiasm of the staff at this hotel is to be commended. 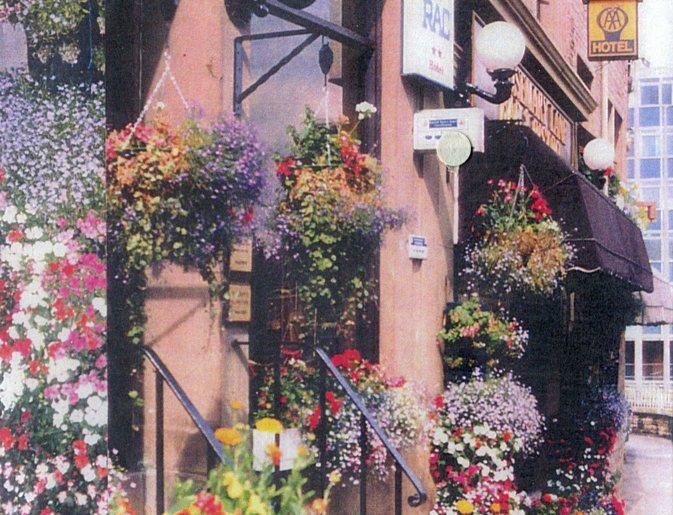 Their efforts in what might be felt as a difficult location are tremendous. 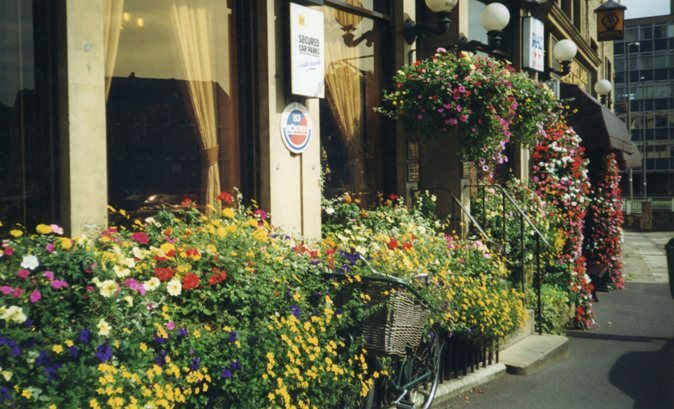 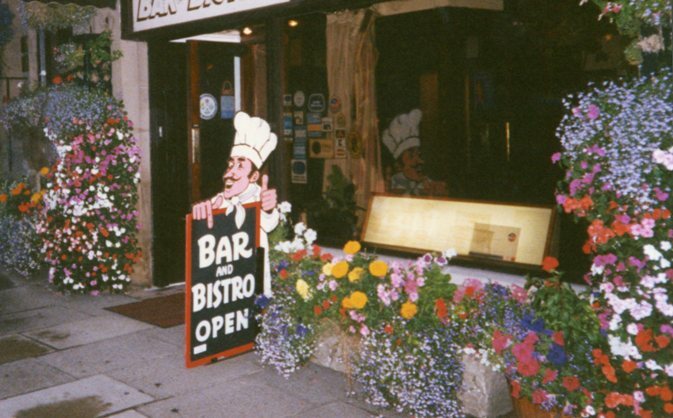 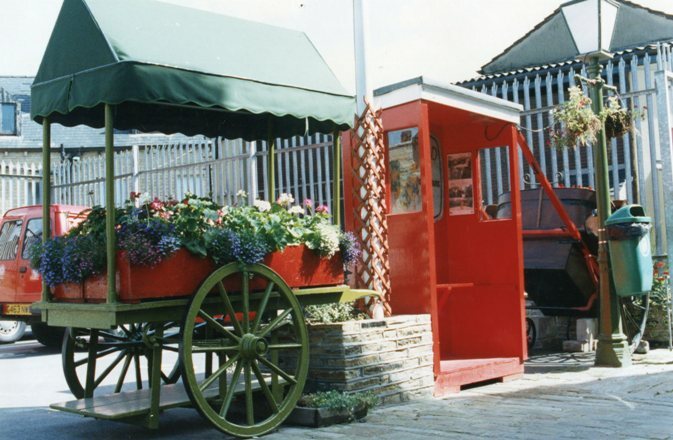 The overall impression is excellent, with novelties such as herbs within window boxes for the cook's use and an old cycle covered in floral display providing interest for passers by. 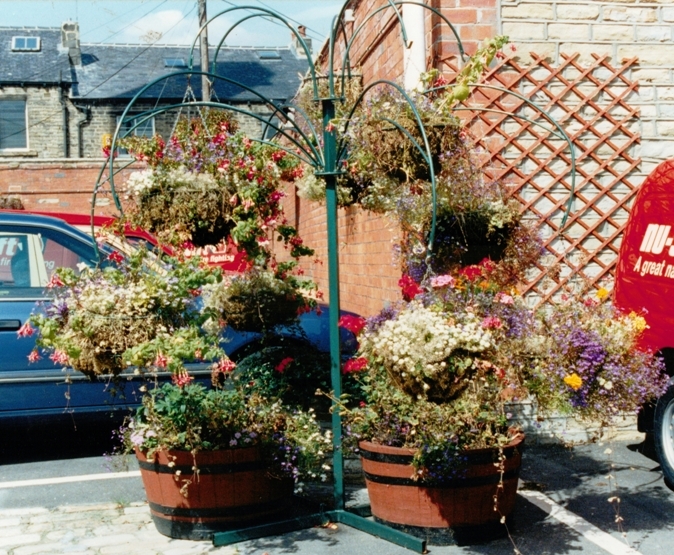 Their efforts even extend to the patrons car park with an array of colourful containers - well done.